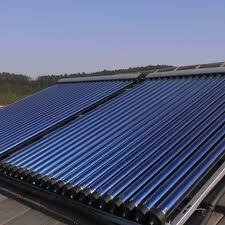 Solar Thermal systems use the heat from the sun to heat water which is then used in the home or business. Solar Thermal technology has advanced greatly over the past 2 decades and is economically viable in many applications. While Solar Thermal has garnered less attention than Solar PV in both the press and various incentive programs and mandates, it represents a huge opportunity for the solar industry. As with Solar PV only a few years ago, there are limited financing options available to consumers and businesses looking to deploy a Solar Thermal system. While the upfront cost of a Solar Thermal system is typically much smaller than a Solar PV system, barriers to widespread adoption and industry growth are tied primarily to financing or lack thereof. Gemstone is using its expertise and leadership in developing the residential solar PV lease model and has begun to develop a similar lease product for Solar Thermal. The underlying economics of the lease are meant to minimize or avoid the upfront cost by the host/user and generate a net savings of energy cost on day 1. Gemstone is working with several industry leaders and investors on the product and expects to launch a program by the end of 2011. It is expected that the Solar Thermal lease product will be available to both homeowners as well as commercial businesses.